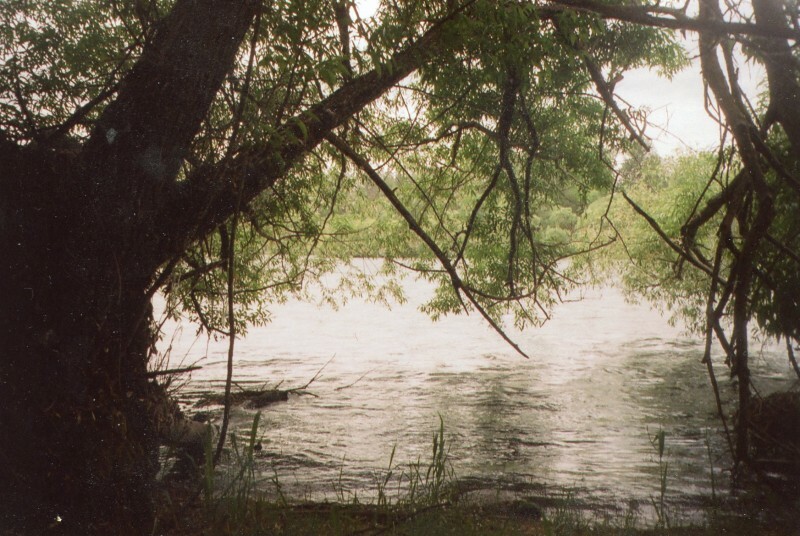 This image shows the banks of the Spokane River, near Spokane House, where Charlot Birnie was left while James went out with the York Factory Express in 1826. Spokane House was originally an American Fur Company post, but both the North West Company and the HBC operated out of this post. David Thompson’s older Spokane House stood a few miles upriver. This information was contained in a letter from William Kittson to John McLeod, Sr., written March 8, 1827, from Kootenais House. I found it in the Malcolm McLeod papers in BC Archives. I literally didn’t know what to say at first. Charlot Birnie is my great-great-grandmother and the person that makes me Metis. She has always been the most amazing woman to me, and someone I have been very proud of. But I have been thinking about this. Charlot Beaulieu was born in 1805 in Red River, or so her gravestone in the historic Cathlamet [WA] cemetery says. 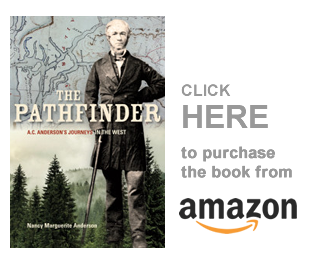 Her father was Joseph Hudon dit Beaulieu, who was, perhaps, the Beaulieu in whose tent Alexander Henry stayed the night: In New Light on the Early History of the Greater Northwest: Alexander Henry’s Journal, ed. Elliott Coues. Oct. 2nd 1805 — We set off for Pembina River with Le Sueur, Huneau and wife. Fire on the plains in every direction, burned our horses’ feet passing through smouldering turf. We slept at night in Beaulieu’s tent on Sale River [La Salle River, south of Winnipeg]. In 1804 and 1805 Joseph Beaulieu is listed in La Bas de la Riviere Rouge [Lower Red River] as “voyageur contre maitre” [master voyageur], and there is no other Beaulieu listed. [B.C.Payette, The Northwest, and Masson, Les Bourgeois de la Compagnie du nord-ouest, original journals, Narratives Letters, etc. relating to the Northwest Company]. But I cannot say with complete confidence that this Beaulieu is Charlot’s father, as this list might not be complete. Beaulieu, Joseph, 979 [In 1818 he was at Montreal, in 1819 at Fort des Prairies [Edmonton], then was back to Red River. So this is not ours, I believe. This account was active all the way to 1821, and a free-traders account would not be active, I think]. There were no other Beaulieus listed anywhere near Fort des Prairies or at David Thompson’s posts, and I don’t think I saw a Peter or Pierre anywhere. Of course, the list might not be complete. That is as close as we come, and Jack Nisbet has accepted that it was Joseph Beaulieu who was Thompson’s voyageur and free trader at Saleesh House. There is more: In Manuscript 1092 in the Oregon Historical Society, Ben Holladay Dorcy, a descendant of James Birnie, wrote, “The only sister of Charlotte Beaulieu married a Rondeau and lived at or near St. Paul, Minnesota, supposed to be very well to do.” This is secondary source, of course, written well after the occurrence, but it was always well known to other Beaulieu descendants, if not to me, that Charlot’s younger sister, Josephine, married Joseph Rondeau, later of St. Paul, Minnesota. Moreover, descendants of Joseph Rondeau and Josephine Beaulieu confirm that Josephine was born in what became Montana, in 1809-10 or so. Saleesh House, where David Thompson’s Beaulieu traded for furs at that same time, was in modern-day Montana. It seems to me that there are too many connections to ignore. But we have all had our DNA done since, and the things we have learned are extraordinary. We have a strong DNA connection between the descendants of Josephine Rondeau and Charlot Birnie — that story is true! However, we had not yet made a connection between the descendants of Joseph Hudon dit Beaulieu, and the Athabasca Beaulieus. We also always thought that Joseph Beaulieu was Metis — now I wonder. I think he is Canadien. Charlot’s mother was Cree — probably from Red River, we do not know. Interestingly, or DNA is showing some connections to First Nations families who live in the Cranbrook area: are they descendants also of Joseph Hudon dit Beaulieu (Charlot’s brothers?) Or are they descendants of other members of Joseph’s Cree wife? Another idea is that Joseph might have had a child with the Kootenay woman that also crossed the mountains in 1807 with David Thompson. We’ll never find the truth, but the questions are interesting. This all is very shortened, and I eliminated a ton of Beaulieus before I came down to this theory — nor can I prove that this is correct! But what this means is that Charlot, who was born in 1805 in Red River, had lived her whole life in the wild. Her mother was Cree, but her father was, I think, Canadien. By the time Charlot met and wed James Birnie she was fifteen years old (it was common that these men took younger Native wives to avoid the diseases that older Native woman carried). In 1826, she was a little over twenty years old. She had three children: the first my great-grandmother Betsy, born at Spokane House in August 1822. The second was a boy, Etienne, born in 1823 at Spokane House. But Robert Birnie was born in 1824 at Fort George [Astoria], where James Birnie must have been assigned to work when he left Spokane House on John Work’s arrival at that place in 1823. October 1823. Friday 24. Fine pleasant weather. Mr. Birnie a gentleman from Spokan arrived with men and horses to take up the articles destined for that post. Death of Daughter, name unknown, died July 1826, Spokane House, Columbia River. So James and Charlot Birnie spent a year, perhaps, at Fort George, before they were moved upriver again to Spokane House. When Birnie went out with the York Factory Express, Charlotte remained at a place that was very familiar to her; she had lived there for a number of years. So what happened? She had a child who was only three months old when her husband left on the York Factory Express. In 1826, when James Birnie left the territory, he was apparently being encouraged to retire — though I don’t actually know whether or not he knew that. But Birnie may have been aware that he might not be able to return to Spokane House. What would a twenty year old mother of three small children, with no family living nearby, do in this situation? In actual fact, she probably had family nearby — and the First Nations man that she apparently lived with might have been a brother who remained behind when their father left the territory. Her father might also have returned, although I would have thought that William Kittson would have recognized Beaulieu as both were apparently at Fort Boise (But would have recognized him: there were about 100 free trappers down there, I believe). As far as I can see, when the incoming York Factory Express came into the Columbia District on its return, James Birnie went all the way down to Fort Vancouver. Birnie bought some guns from Francis Ermatinger at Fort Okanogan on his incoming journey, at about the same time he would have heard about his wife living with the First Nations man: does this have anything to do with this story? Did Charlot meet the boats at Spokane River and travel downriver with her husband, or did James Birnie go to Fort Vancouver without her? We don’t know. I only know their next child, a girl, was born at Fort Vancouver in September 1828, according to my records. That would mean they were together again, as a married couple, by November or December 1827. Joseph Beaulieu, engage of the Hudson’s Bay Company, was the son of another Joseph Beaulieu and a Cree woman of Red River He was in all probability the brother of the above Charlotte Beaulieu. He married Betsy Tillamook in 1844, she died two years later. An excellent account of an exploration of the Barren Grounds in 1923 is related by Guy Blanchet in the Beaver of Autumn, 1964. “I discussed the expedition with Sousi Beaulieu who had been my pilot on the lake survey. I had thought that he was too old but he still retained the spirit of the father of his grandfather, a Frenchman of the fur brigade… At a pause at Fort Chipewyan by the brigade, the Frenchman had started Sousi’s family. His son, Sousi’s grandfather, had accompanied Alexander Mackenzie to the Pacific and had assisted Franklin on his first Arctic Expedition via the Yellowknife River. His [Sousi’s] father, King Beaulieu, was Warburton Pike’s guide on his muskox hunt in the Barren Grounds. The blood of the Frenchman of the brigade had run thin through successive Indian mothers but it had preserved strong qualities of leadership, ambition, and a certain truculence — a strange, mixed inheritance.” Relationship to the Beaulieus in the West, “from Red River,” makes interesting speculation. Up there, “Sousi” is “Joseph,” and the several “King” Beaulieus were descendants (son, grandson, and great-grandson) of Francois “Old Man” Beaulieu. The son of the first Francois Beaulieu, who accompanied Alexander Mackenzie to the Pacific, can only be Metis, and so, too, is his brother, Joseph/Peter (who we now believe is NOT our Joseph Hudon dit Beaulieu). There are Beaulieus at Frenchtown, I believe, in Washington State. I wonder if they are descended from this man (above), or another? I wonder if they have any answers, or if they are in the same position as I am?